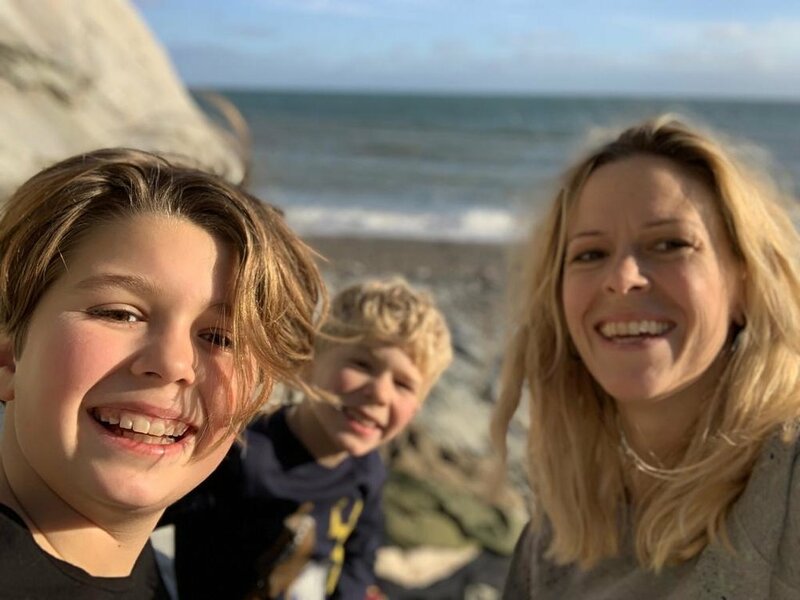 Laura is mum to Rowan, nine and Fraser, eight. Laura spotted a pair of Rowans’ sparkly trainers on their new feet in an early consignment to Zambia and was delighted to be appointed one of the first trustees. Through her work in events, Laura sometimes travels and has been lucky to use these trips to deliver shoes to Brazil, Ivory Coast and Cambodia. To help with fundraising and raise awareness of the charity Laura ran 10k in bare feet and after a few glasses says she’ll progress to a marathon – watch this space. Katie is a Commercial Director working in the Financial Services sector. She is mum to Ben and Charlotte, and lives in Kent with her husband, Adam. Her strong belief in the pay-it-forward philosophy made supporting Sal’s Shoes a natural choice. Sarah is a commercial lawyer and mother of two little girls, Mattie and Jossie. Jossie and Sal have been buddies from the start. Sarah visited the Snehalayam orphanage in India with her then 5 year old to take shoes for all of the boys, and knew immediately that she wanted to do more to support Sal’s Shoes. Sarah brings commercial and strategic insight, together with a strong desire to make positive change. Please contact us at info@salsshoes.com if your company is interested in supporting the work of Sal’s Shoes.